After your belly is full and your family time is over, it's time to gear up for the biggest days in shopping that we see all year...Black Friday & Cyber Monday! 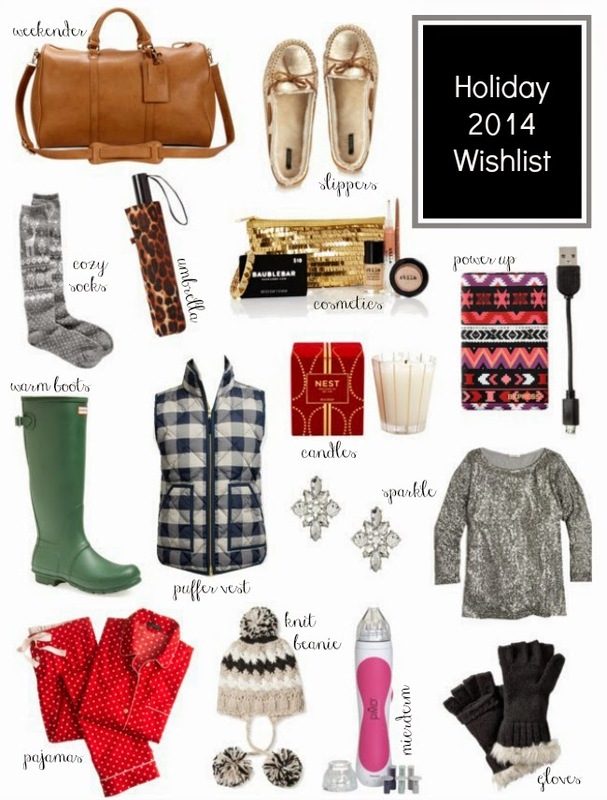 Below is a round up of my personal holiday wishlist. I always have the hardest time telling people what I want for Christmas, but this year isn't a problem. I want so many things. Is that bad? With our upcoming trip to Tahoe, I need items that will keep me warm and cozy & when it comes to beauty additions or anything that sparkles...sign me up. So, here we go! Let's gooooooo shopping...in our PJs!!! FYI...Most of the online deals are EXACTLY the same as the ones in stores and there aren't many differences in Black Friday sales vs. Cyber Monday deals. Here is a list of sales that start promptly at midnight Friday. If you plan to head out to the stores, be safe, patient and have fun! Amazon - New lightening deals every 10 minutes all day long. Nordstrom - Brand new items just marked down specifically for Black Friday. There are so many things I'd like to buy! I love this entire list!! Bravo!! Nice selection and great information. Love the puffer vest!! I have the PMD. Verdict still not out!